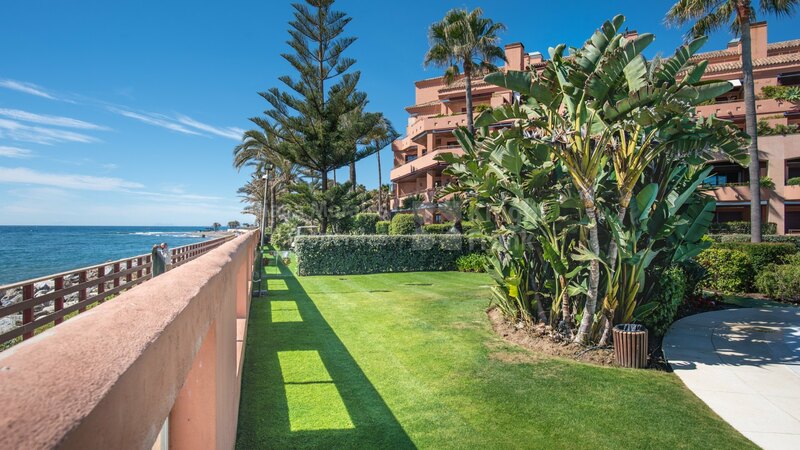 Please, send me more information about ref DM4462-02 in Malibu, Marbella - Puerto Banus or similar properties. 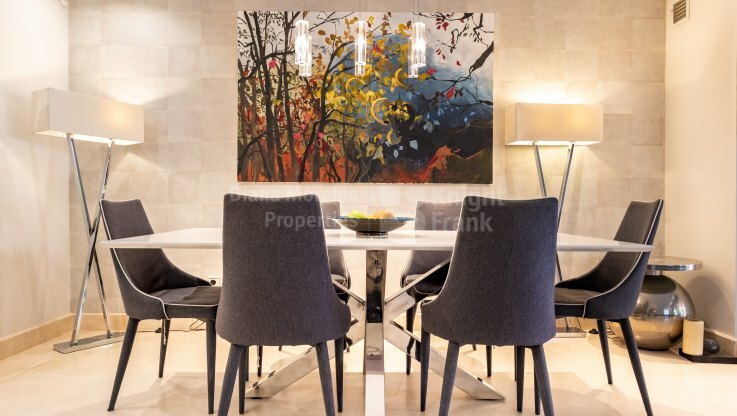 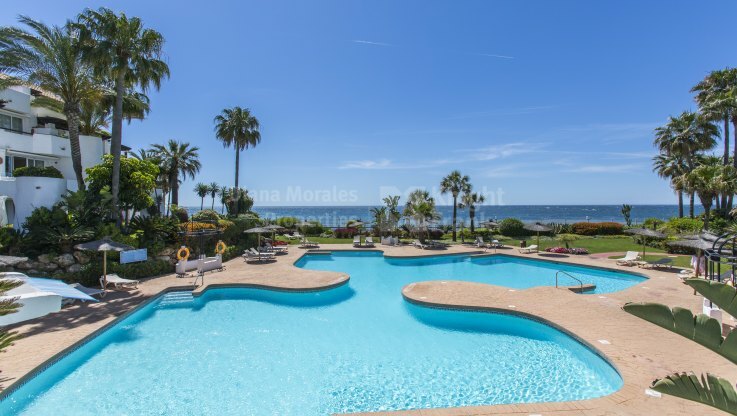 Ground floor apartment located in the frontline beach luxury development of Malibu. 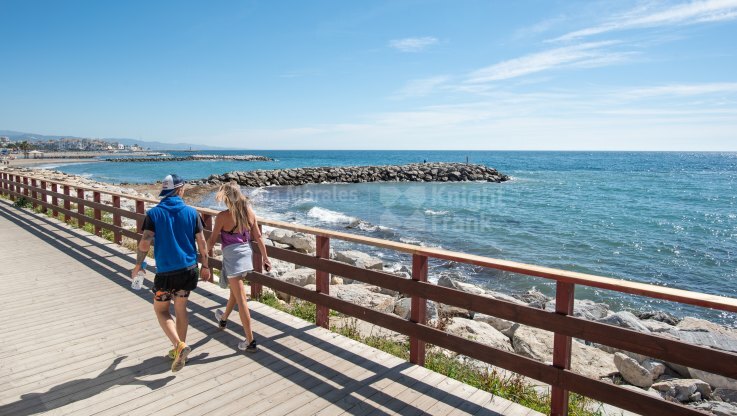 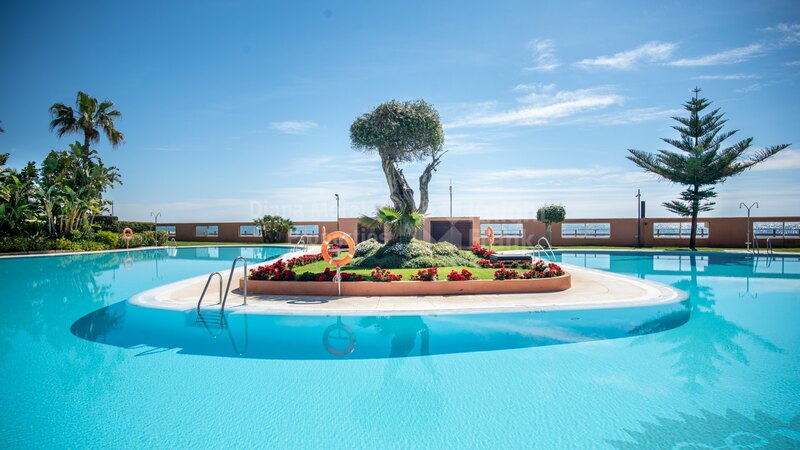 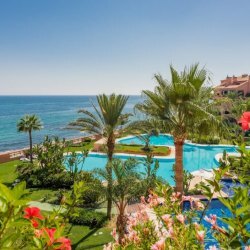 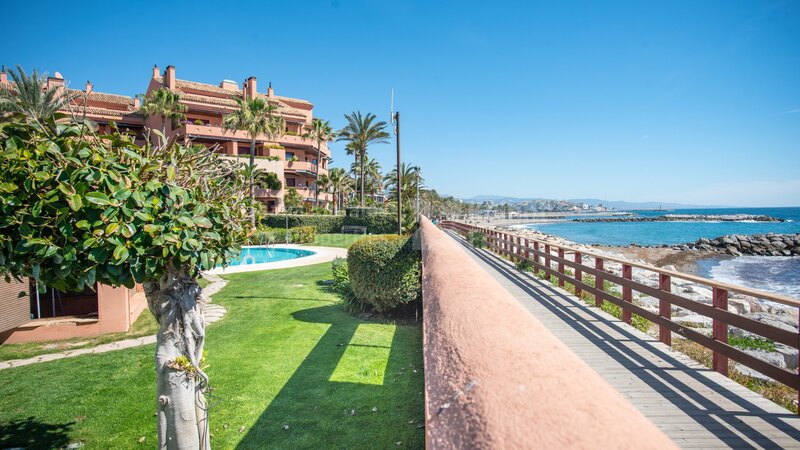 One of the best enclaves, a step away from Puerto Banús and wonderful views over the Mediterranean Sea. Entering the property on the right you have a fully equipped kitchen with breakfast area, to your left you will find the spacious living room with access to the terrace and the private garden. 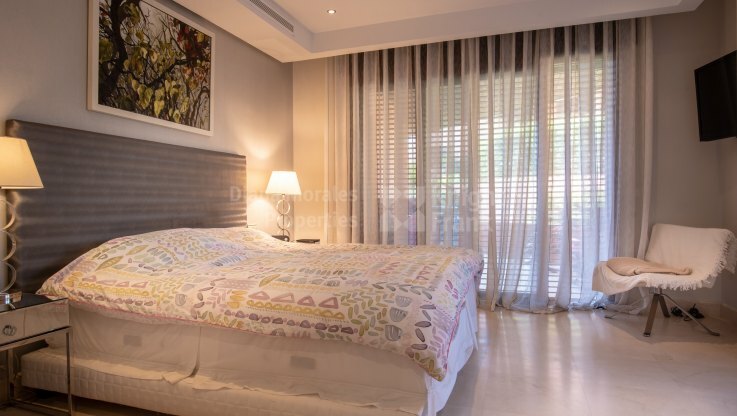 The master bedroom with dressing room and en-suite bathroom leads onto the terrace area. 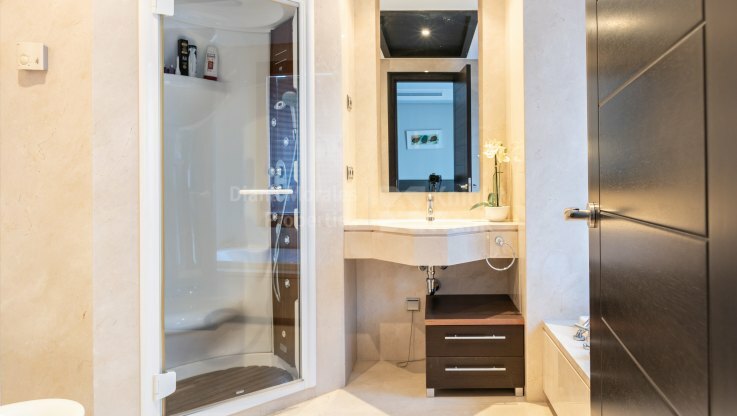 There are also an additional two bedrooms, one of them ensuite bathroom and the other with a separate shower room. 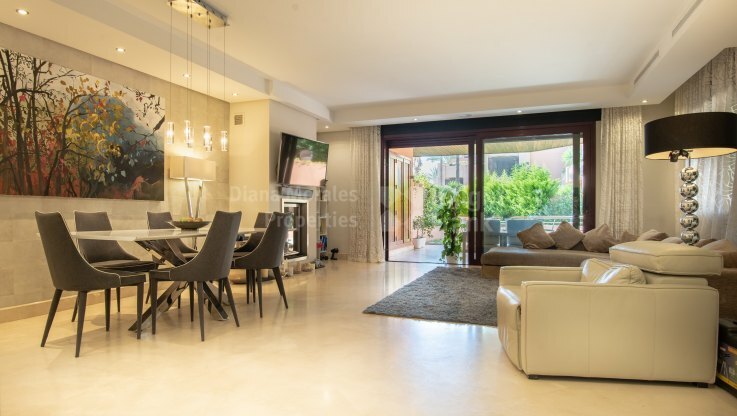 Garage for two cars and storage room, domotic system, underfloor heating by water and air conditioning are some characteristics of the property. 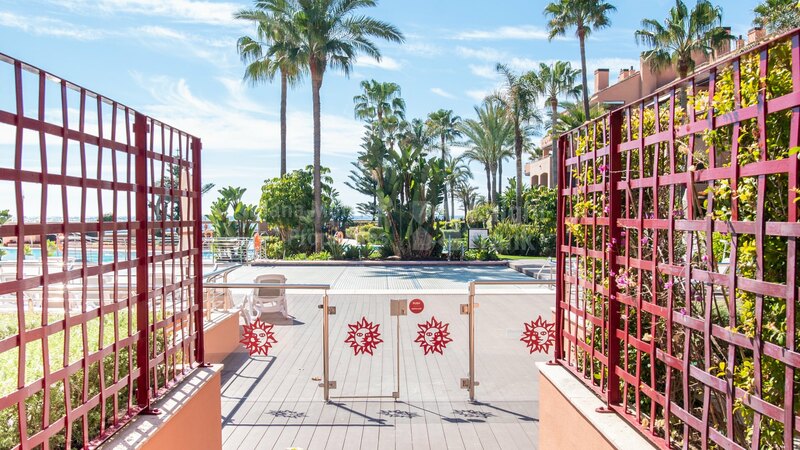 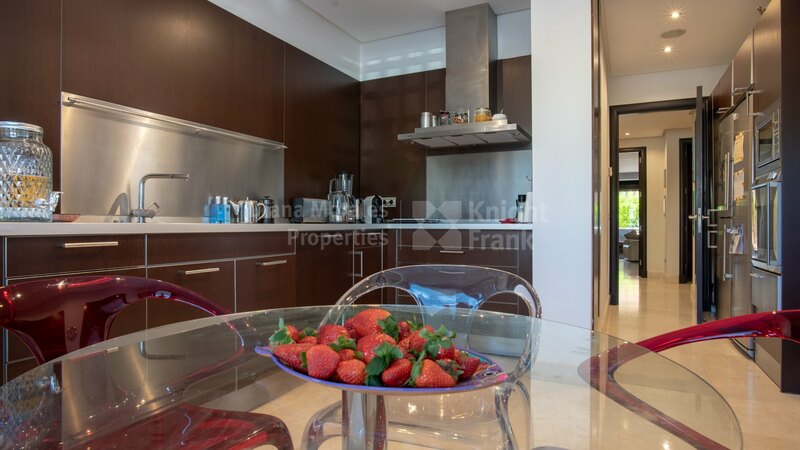 Gated urbanization with 24 hours security, tropical garden with direct access to the beach, two swimming pools, one heated and one with sea water, gym and Jacuzzis. 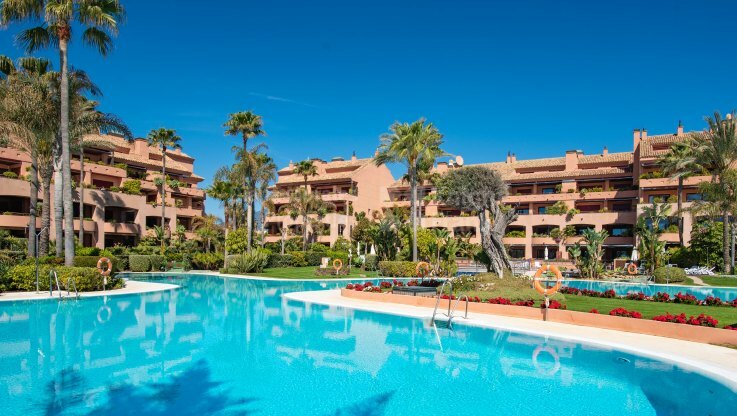 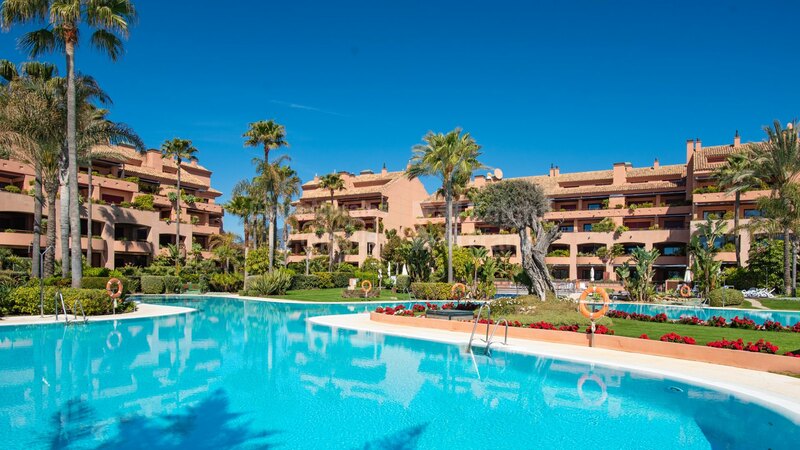 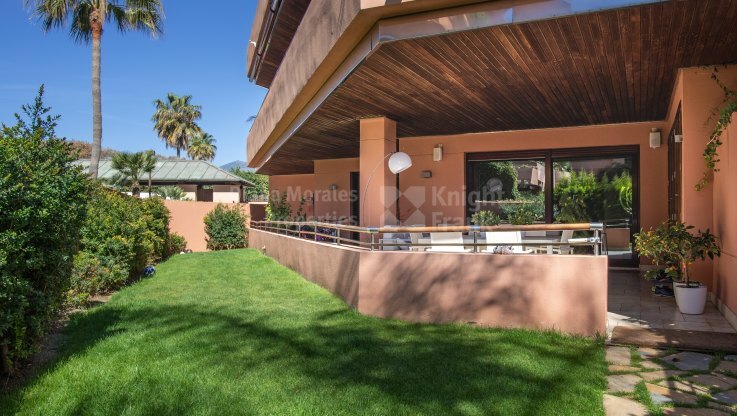 Set within the exclusive Malibu development of beachfront apartments and penthouses, this is one of the finest properties for sale in Puerto Banús. 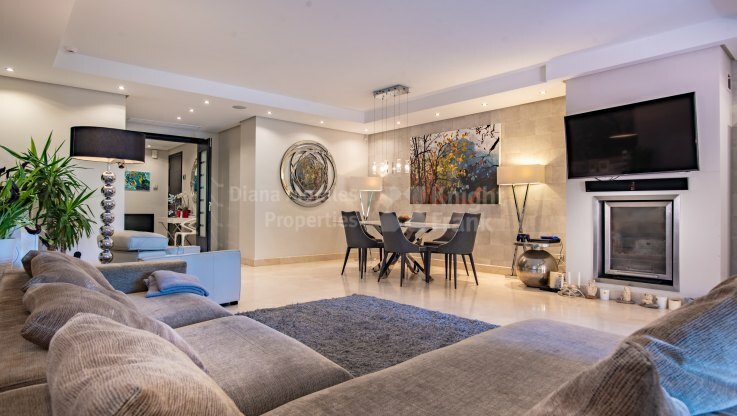 The three-bedroom home measures over 220m2 of interior space, with a panoramic southwest-facing terrace of 115m2 that enjoys truly spectacular sea views.